I received so much birthday love yesterday, my warm-fuzzies are spilling into the new year. Now I feel like giving! In relation to firearms ownership, what is your New Years resolution? 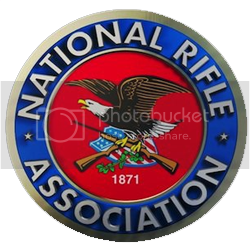 How will you be a better, safer gun handler? What safety techniques will you use? How will you teach others? 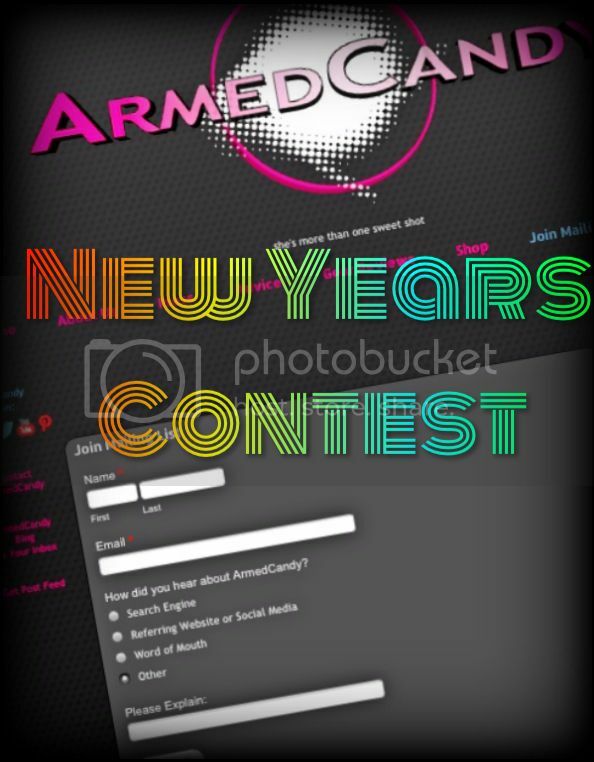 Post your entries in the comments below, on Facebook, Twitter, or on our website's Mailing List page (in the "please explain" section) before midnight January 31st, eastern, and you'll be entered to win an ArmedCandy goodie bag. Goodies will include ArmedCandy gear and items collected at SHOT 2013 during our first trip to the convention. I need to get to the range more often, assuming ammo becomes easier to buy soon - I'm not going to use up my small stash when there's no hope of replacing it. Hopefully when it's warmer I can try out some of the drills from Concealed Carry Magazine. I'll take my kids too, and keep talking safety with them. The biggest thing is dry-fire & practice on the draw - this is so easy, but I never do it and know I need to. So I guess that will be my resolution, with no excuses available, to work on the things that can be done for free and in my house. This year, i resolve to expand my firearms family and teach others the skills and respect needed to be a proud gun owner and a skilled shooter. To expand peoples perspective on the topic, and leave them with confidence and solid skills. I want to be a part of removing peoples fear of firearms and making them feel empowered, women especially. While reinforcing my own skills, i can at the same time teach others and help add to the Armed Candy Army of empowered gun toting females! I just got my first gun safe to store my stuff in. And I plan on introducing as many people as I can to our sport. My 2013 resolutions are to 1) find the right gun for me to carry (in the process), 2) get my CCW, which I've been meaning to do for awhile now, and 3) make time to go to the range and practice! Even though I grew up around guns and have had an interest, I've never taken the time to make it part of 'me' --- NOW is that time, before it's too late!